I don’t know about you, but after eating all the food I’m going to eat on Thanksgiving day, I know I’m not going to have much desire to chase around and entertain my toddler. Luckily family has a big, extended family get together every year and whoever is in charge usually has some great activities to entertain the kids. Here are the best of the best that we’ve done or that I think would be awesome to do in the future! 1. Turkey Bowl Kids n’ Coaches: If you have a lot of kids in your family, try having a turkey bowl where you split the younger kids into multiple teams and the adults are the coaches. Depending on how many teams you have, play short mini games in the style of a tournament. 2. Nerf Gun War: Although it sounds dangerous, even your toddlers will LOVE this as long as you make sure the older players are aware of them. Everyone just needs to show up with a gun and some darts and you will have a blast. We’ve also done it with pvc pipe guns and darts. 3. Mini Pumpkin Hunt: Remember all those mini pumpkins you bought for decor and are going to throw them away on Dec. 1? Hide them for the kiddos to find! 4. Coloring Table: This isn’t necessarily an activity but it can provide some great dinner entertainment for the kiddos! Set up a smaller size table and cover it with butcher paper for the kids to eat at. Set some crayons out and let the artists get to work! 5. Thankful Balloon Bash: Balloons are pretty fascinating to all of us so imagine a room full of balloons! Hand out one or a few balloons to everyone and have them write what they are thankful for on them. Once they’re done they can blow up their balloons and toss them in the middle. 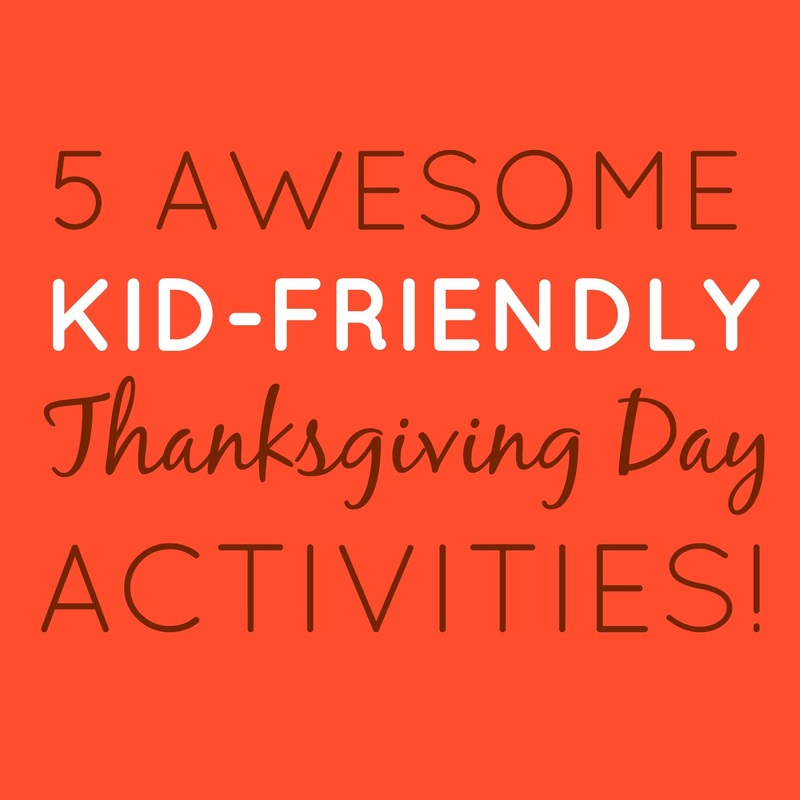 You could turn it into some sort of game (categorizing, finding similars, etc) or just let the kiddos enjoy running around in all that they’re grateful for! For my ideas check out our other posts here!